Film Reviews On The Radio – Who’d Have Thought It? I was struck dumb a couple of weeks ago when a radio producer, the very lovely and hospitable Rachael Devine, asked me if I would be interesting in contributing my very own film reviews to a radio show as she was a massive fan of my style of writing. 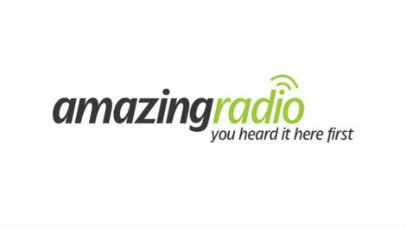 The show in question: Ruth Barnes at Breakfast on Amazing Radio, an online radio station based in Gateshead. I was told the segment would be recorded on Wednesday, November 28, in advance of its airing on Friday, November 30. I graciously accepted the kind offer – who wouldn’t? – and immediately went about searching for ways in which I could see that particular weeks eclectic range of new releases, which just so happened to include eight in total: Rise Of The Guardians, Great Expectations, Sightseers, The Hunt, Trouble With The Curve, Alex Cross, Laurence Anyways and Yossi. Thankfully, it all fell into place surprisingly well. I was able to wrangle my way into press screenings for Rise of the Guardians, Sightseers and The Hunt, and was able to pick up a DVD screener of Laurence Anyways, the new film from Québécois wunderkind Xavier Dolan. Then came the day of recording itself. And, having rustled up a Pages document with succinct notes about each of the films I’d be taking about (four in total: Rise of the Guardians, Sightseers, The Hunt and Laurence Anyways), I found a quiet space, logged onto Skype and recorded my first ever radio appearance as a film blogger. It was an odd experience to say the least, but one that went swimmingly thanks to the warmth exuded by Ruth (she seemed genuinely interested in me and my opinions, which was immediately relaxing) and the fact I was impressed by all four films I had seen – thank you to whoever’s decision it was not to press screen Alex Cross. The finished product, which was aired this morning at 9:10am and was an incredibly surreal, yet amazing experience for me, can be listened to over at the Amazing Radio website (link here), where they’ve handily set me up with my own page and linked back to this very website. Assuming they liked what I did, and their offer of a return wasn’t purely out of charity, I’ll be making a return after the New Year to add my two cents on another crop of film releases, preferably in the week that bring Les Misérables to the big screen, which I’ll be seeing rather soon.